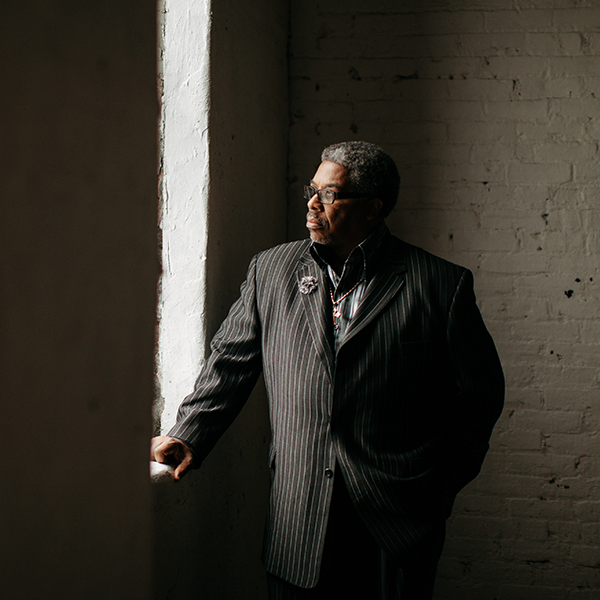 VJ Smith leads the Minneapolis Chapter of MAD DADS (Men Against Destruction, Defending Against Drugs and Social-disorder) with the help of other organizations committed to mentoring at-risk youth on the streets. He has a passion to see the lives of young people who are heading in the wrong direction turn around through the work of MAD DADS and its volunteers. VJ has led these volunteers onto the streets at night to bring wise counsel and a listening ear to young men and women who have never experienced a relationship with a real caring adult. VJ is a turnaround specialist; he has turned around his life, as well as his community and youth in Minneapolis. VJ Smith was born in Kansas City Missouri; he loves God, music and people. Abandoned at the age of nine years old by his parents, he was placed in foster care where he eventually ran away and became involved with the drug trade. After an arrest in the early 1980s, he decided he had to straighten out his life. Since then, he has been promoting hope and supporting communities throughout north and south Minneapolis, Brooklyn Center, Brooklyn Park and St. Paul, Minnesota. He is a leader in his community by promoting hope and building civic bones with the help of concerned moms and dads. MAD DADS was formed to mobilize strong drug-free men of faith to reclaim their neighborhood, one child at a time. The volunteers of MAD DADS have spent numerous hours on the streets bringing positive, proactive advice and progressive involvement to troubled youth. VJ leads the Minneapolis, Minnesota Chapter of MAD DADS and is a specialist in changing lives from Hopeless to Hopeful. He helps bring families and communities together for positive change moving them away from gangs, guns, drugs, and violence. VJ urges youth to give up drugs and guns, to get jobs, stay in school and respect themselves and their communities.